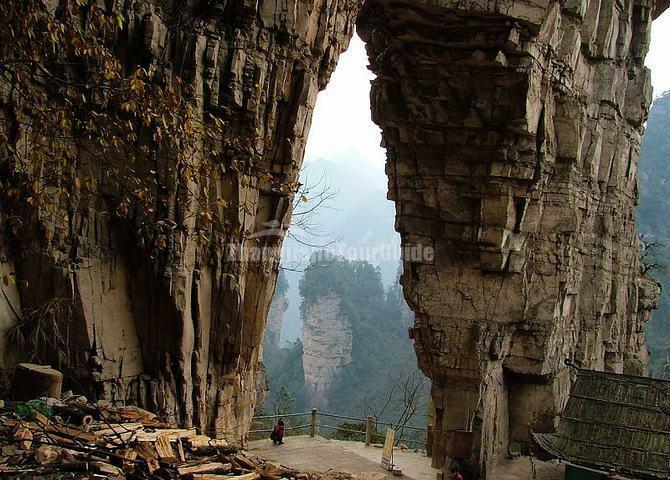 Wulingyuan Scenic and Historic Interest Area is located in the northwest of Hunan Province, next to Cili County in the east, Yongding District of Zhangjiajie City in the south, and Sangzhi County in the northwest, covering an area of 369 square kilometers with more than 300 scenic spots. 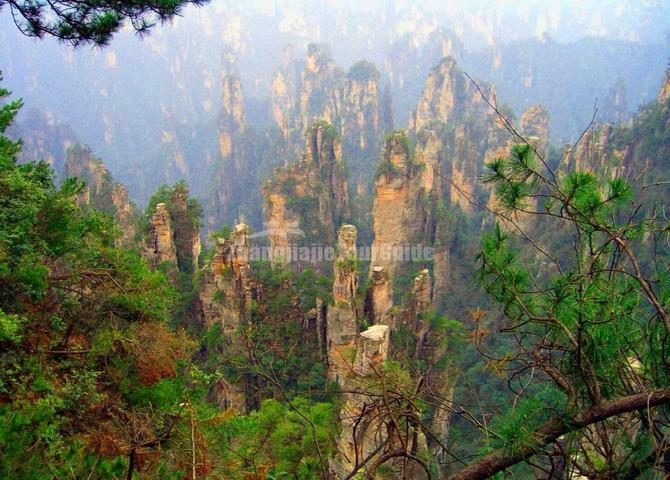 The scenic area is distinguished for the quartzite sandstone peaks rare in the world, and well known for its five wonders of spectacular peaks, grotesque rocks, secluded ravines, graceful waters, and Karst caves. In addition, there are also dense forests, diversified streams and brooks, capricious mists, and plain pastoral landscape, to form the enchanting multi-dimensional scenery. 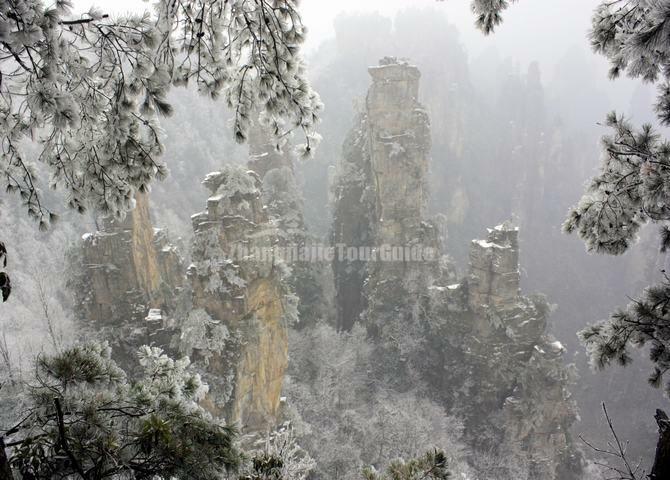 Wulingyuan Scenic and Historic Interest Area is also a treasure of plants and animals. The vertical distribution of the plants is distinctive with intact flora and balanced ecological system preserving a great number of rare plants and the botanic resources only found in China. The vegetation coverage is 88%, with over 3,000 species of higher plants, including woody plants in 107 families, 250 genus, and more than 700 species, and 35 species are inscribed in the protective List of Rare and Endangered Plant Species in China as the first group under key protection. As for the fauna in the area, there are 116 species of land vertebrates in 50 families, of which 3 species are under ClassⅠstate protection, 10 under Class Ⅱ state protection, and 17 under Class Ⅲ state protection. Wulingyuan is reputed by the visitors as "Fairy World and Terrestrial Heaven", "No.1 miraculous mountain under the sky", and "an enlarged bonsai and minified fairyland". 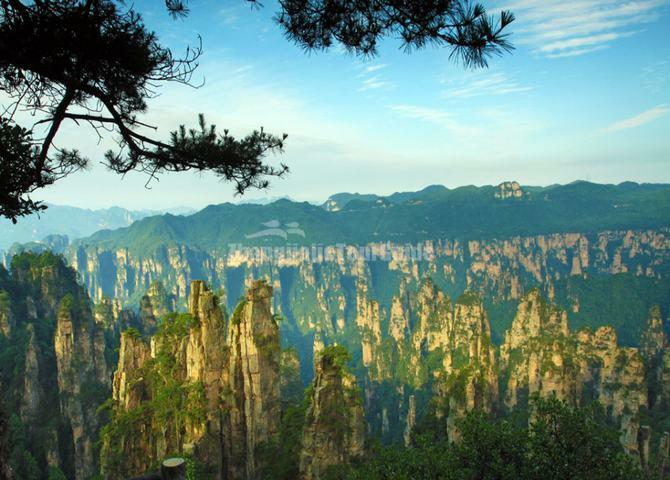 The area consists of Zhangjiajejie National Forest Park, Suoxi Valley Nature Reserve, Tianzi Mountain Nature Reserve, and Yangjiajie Scenic Area. Since its accidental discovery in the 1970s, this hidden miracle of nature is now developed into a magnificent, comprehensive, and supreme tour resort peerless worldwide.